Michael Peloso is a New Jersey-based lyricist/songwriter who writes undeniably touching, honest lyrics with a sense of simplicity that are uniquely all his own. Michael’s collaboration with Natalie Jean. “Please Don’t,” a Josie Award nominated R&B track was released in 2016, and is a featured single on Natalie’s Unafraid album. The duo released the single, “Alive,” on June 30, 2017. Natalie Jean is a very rare kind of vocalist. Winning recognition across the most diverse of musical genres and quite comfortable performing in English, French and Creole. She has been nominated over 70 times for her music and has won many awards. Most recently, Natalie Jean won a Silver Medal in the 2019 Global Music Awards for her song, "What Would You Do for Love?" in the categories of Social Impact and Female Vocalist. Michael Peloso and Natalie are no strangers to successful collaborations. “The Letting Go,” which was released on February 14, 2018, a duet between Natalie Jean and Levi Moore, and written by Michael and Natalie, has garnered numerous nominations and awards. The music video has won over 23 awards. The music video has been viewed over 38,000 times. 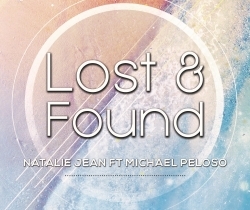 Versatile Award Winning Haitian American Singer/Songwriter Natalie Jean and Award Winning Lyricist Michael Peloso release Pop/Contemporary Single.